The “Black Book Ecosystem” refers to the independent Black professionals responsible for getting books into the hands for readers. This includes independent writers, editors, designers, marketers, distributors, printers, reviewers, and booksellers. As Amazon expands their dominance of the publishing industry, even mainstream publishers are adversely impacted. Needless to say, the impact on Black independents is worse. For many Black authors Amazon controls everything--from production to sales and profits qute handsomely. For many authors Amazon even serves as the author's primary web presence. Now many will argue that Amazon has made it possible for any author to publish a book, when this may not have been possible before. The fact of the matter Amazon is not the only option and I'd argue they may even be the most expensive option as they profit from every step in the process and assume no risk. For Amazon, the production of books is purely a monetary transaction. Amazon is motivated solely by maximizing revenue. The professionals in the Black Book Ecosystem, which AALBC.com is part of, are motivated by revenue too, but we are primarily mission driven. We recognize that books are not merely commodities to generate profit or to crush our "competition." Books hold the cultural legacy of our community. They relate our history and stories. We simply can not allow a single profit driven corporation to own our cultural legacy and to be the only entity to profit from the business. I'm not limiting this appeal to just Black folks I'm reaching out to anyone who cares about books. If you agree, would you consider no longer buying your books from Amazon or using any of their book related services? Please fill out the form below and let me know what you think. I'm going to reach out beyond the Black community, because Amazon effect the entire book ecosystem. The Survey has now completed. Review the result here. I rarely buy "black" books and when I do they are old books...usually out of print books. I usually learn about new titles through articles that I read . That's usually-my impetus to purchase the book. I buy based on benefits - not word of mouth. If the author or the publisher isn't selling the book, I then go straight to an online retailer. The online retailer of choice is usually amazon - unless I have a Barnes & Noble gift card. If I were to change the way I buy books , it would be based on a change in the marketplace. As an independent author, publisher and bookseller - I've decided not to sell my books through amazon. I don't see the benefit. I removed my debut novel from amazon - (and all online retailers) and my soon to be released book "So, You Want to Be A Flight Attendant" will only be available through me. I haven't decided if I'm going to release it through Lulu yet... So if anyone should boycott Amazon it should be the independent author/publishers. Buying direct from independent publisher will have a greater impact their bottom-line that it will Amazon. Ultimately I'm going to reach out to you and anyone else I do this for to create an affiliate programs so that I (or any other bookseller) can be paid for the sale. Right now I'm think about keeping it easy and cheap, say a $1 a sale. What do you think about that? It is FAR less than what Amazon takes, and can be scaled across all other websites. I'm working with an author I know to work out the process, so that the work on the author's end is trivial--otherwise no one will do it. Mel, when someone buys your book they are sent to PayPal, have you created a customized thank you page? I'm thinking about showing others how they can track where sales come from. Basically you'd just pay AALBC.com (or anyone who sells you book) a $1 for each tracked sale. I can set it up so that we both see this in real time. Let me know if this is something you are interested in doing? Also what is your wholesale discount? 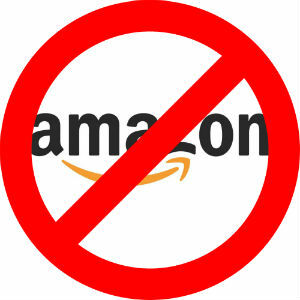 If indie authors and publishers boycott Amazon by themselves without the support of readers, I'm afraid readers will just buy other books. Only the indie author/publisher will be hurt and Amazon will be un effected. Reader really have to be part of the effort. I know at least 50 people have filled out the questionnaire from this afternoon, but I have not looked the results yet. Those results will determine if I move forward with this effort. I have customized thank you page and I've also written thank you notes directly. Of course I would be interested in selling wholesale and I have in the past So far my I've also sold my first book through independent sellers - Just like they were Tupperware saleswomen. It was great! I got the idea from one of my readers (and friend) She liked the book so much she sold it at her job. $1.00 per book is fine-. Just as you mentioned Amazon took a lot more - and they had nothing to do with the book -other than sell it from their website (at least the sales the reported to me). , I currently have code on the site which allows me to link directly to authors site for buying a book, as I have for your new book: So You Want to Be a Flight Attendant: A Memoir. I'm not losing control of my inventory again. By the way, I'll let you know when I've release "So, You Want to Be Flight Attendant : A Memoir" - I hit a production snag delayed it. Troy, you know I come from a publishing marketing background so it's difficult for me to understand - someone buying another book if they don't see a book they want to buy on a website? When we sold books at Penguin - professors contacted us for specific books - not "whatever we had"... We marketed books - and that's what they asked for...so if authors/publishers market their books and sell their books on their websites - wouldn't it be because someone was interested in purchasing that book? Or are you saying that Amazon is marketing their books too? I just bought a book today - I was looking for that book - I didn't purchase a book like it ---I purchased the book I wanted to read. I got it from the publisher 's website and they had a paypal option. By the way, they didn't send me a "thank you" - they gave me the option to print my receipt. I remembered my paypal account offers the same. I'm confused by your statement. Are you saying that independent publishers/authors don't market and sell their books - like old school booksellers did back in the day? If not - then it's not Amazon or the reader that's the problem... It's the independent author/booksellers not pushing and promoting their books. That has to change too! Hi @Mel Hopkins, I asked about the customized thank you page for your PayPal transactions, not because of customer service, but because it give me a place where I can have you drop some code to actually track the source of a transaction, alternatively you can use Google's Tag Manager on your website. Please send me the URL of your thank you page. My goal is to allow both the bookseller and the publisher/author to know when a sale takes place--unlike Amazon where you have to trust what they tell you. That may be because you are not that type of book buyer. For example, I'm not a "shopper." I never go to the mall and look around to see if something strikes my fancy. When I go to the mall I do so because I need something, and when I find it I'm out. Some readers are this way. Others may go to the store with just a general idea or not idea at all. I've purchased many books because they were sold to me by a book seller. I in turn have sold that same book to many others. I'd bet money Penguin had salespeople who pitched books to distributors to sell to stores. I discover more books through Ingram than I do through publicists. Absolutely they did! They are sales people supported by THE MARKETING DEPARTMENT!!! Penguin RandomHouse has several types of marketing departments. I worked in one of them (Academic Marketing and Sales) We dealt mostly with backlist titles. There was a marketing department that dealt with only adult front list titles., there was one for children's books ...et al. By the way, Trade book In-house Publicity departments and their publicists don't market books - they work with the authors and get publicity for them - (different department/different activities) There's another department in trade book publishing that is like publicity but they are speakers bureau for authors. Then there's media relations too. You might think you're discovering books through Ingram - but guess how Ingram gets the info -Trade book publishing Marketing departments and marketing collateral from small presses too. Ingram even has their own marketing department which is probably who pitches and promotes to you too. Marketing is a full-time job. Don't get me started on Communication. lol - in Academic Marketing & Sales we'd produced quarterly catalog that would go to every professor on our mailing list... and then we'd look for other markets to enter. I'd write occasional copy for the catalog, but do you know my primary job was planning and setting up and attending conventions/exhibits and meetings?!!! See where I'm going with this? The majority of departments in Big 5 trade book publishing are marketing & sales. Editorial is a small and elite group in the Big 5. I asked about the customized thank you page for your PayPal transactions, not because of customer service, but because it give me a place where I can have you drop some code to actually track the source of a transaction, alternatively you can use Google's Tag Manager on your website. Please send me the URL of your thank you page. Right now, thank page is self-contained with the checkout ... maybe if I create a paybal button specifically for aalbc -and then you can code a customized thank you page that I can attach to it? @Mel Hopkins, I'm so glad you explained, in more detail, how marketing and sales work in publishing. Others (especially indie authors) will appreciate the effort it actually takes to get books into the hands of readers. They really do believe Amazon sells books for them and gets them in from of readers and there are no other options. I just updated your link to reflect the AALBC.com button you sent (it will work the same way). Now just to be clear when someone purchases the book are they send back to a thank you page on your site or is the PayPal confirm the last stop? If you create a customized thank you page I can show you how to use Google Tag Manager to determine where those customers, who actually purchased your book came from. If fact, once you set up Tag manager you can give me limited access to your Tag Manager account and I can set this up for you. I'm currently working with others to do this, but I'd be at you to the list. Just peeping the responses to my survey has been eye opening! While the results don't surprise, as it is consistent with the behavior I've observed, the reasoning is a little surprising. The subject has clearly hit a cord; in less that 24 hours, over a hundred people have filled out the form.... more on that later. PayPal has an option that allows people who transact through PayPal. to be sent back you your website after the transaction is completed--this is the page I'm talking about (I just making sure I'm clear). Yes, I was just reading how others use a customized thank you to return to the website... I'm open to that as well especially since the "buy button" is on my websites. I didn't take into the account that some sell books through shopify, squareup market and gumroad and wordpress pay page but I agree it would have to be flexible enough to incorporate those options too. Plus we would want to make sure that you can verify that the book is aalbc bestseller too. I'm glad you explained in more detail how marketing and sales work in publishing. Others (especially indie authors) will appreciate the effort it actually takes to get books into the hands of readers. They really do believe Amazon sells books for them and gets them in from of readers and there are no other options. I've been putting together a check list of the ways big 5 tradebook publishing companies market their books for my own use. I truly thought most indie author/publishers had access to the books that detail the activity they didn't need one more... but maybe I'll make it available too. Yes I understand we all want it to be seamless as well as transparent. This will take some time to develop. Send your thank you page when it has been created and I'll follow up shortly. Dealing with the monopoly Amazon has become, will be driven by authors folks like you who chose to take control of their products rather than completely handing it over to Amazon. If people want your book they will have to buy it from you. You will make more money simply by keeping Amazon out of you pockets and readers will get the books for less money. One very fundamental thing that readers are missing is that Amazon is a monopoly they can only sell books at 40% off and ship them to you for free because they can afford to take a loss on that sale. Sure, the reader "benefits" in the short term with cheap book but the longer-term adverse impacts are incurable. The loss of Black indie book sellers on line and off is just one aspect. Here are the preliminary survey results. Over 100 people have commented so far. I can see that as I collect information a build a team of supporters that I'll need to also help readers and self-published authors understand the options that they have available to them. Many fell not only that Amazon is their best options for obtaining or publishing books, but they feel it is their ONLY option. At this point 2/3 of the survey's respondents would support a boycott. Many feel not only that Amazon is their best options for obtaining or publishing books, but they feel it is their ONLY option. @Troy, how can you help people who are looking for an EASY-BUTTON? Remember what you told me about not everyone living in "my world"? Well, that's the task you're about to undertake - barging into worlds unlike your own. Independent publishing came long before amazon or kindle... but Independent publishing was never easy that's why only a few people did it. I self-published in 2006 because I learned about print on demand. But I still had to do the heavy lifting to get the book into the reader's hands. And I wasn't even as dedicated as Zane and the others who self-published and sold out of the trunk. All this to say, you don't have to convince the willing because we already know... If you're attempting to convince people who aren't used to doing the heavy lifting; refocus your energy. Showcase people who can and do publish without the help of Amazon/KDP - Those looking for an easy button might be more incline to follow those who can light the way. You are probably right @Mel Hopkins, thanks for the advice. Over 150 people have completed the questionnaire so far I'm going to work with the first 100 affirmative responses and see how far I can get with building a coalition. My eBook is on Amazon. My paperback is available only through my website, but as a new indie author I find it very hard to get steady traffic to my website. So, I can see why so many people flock to amazon for publishing. They have the world as their platform. However, it seems like unless you are well known and/or already have an audience you are still subject to getting washed into their immaculate eBook/Book ocean. And you are right, Amazon is not advertising their books. Advertisement is at the cost of the author. 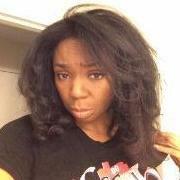 Hi @Faith U, first please share your website's URL. It is very hard for anyone to get traffic to a website--especially today. For many people their internet experience is limited to a handful of corporate websites, and those websites do everything in their power to keep it that way. I spend as much time working on getting traffic as I do creating content. While it is true that anyone can produce a book (with or without Amazon), one of the greatest myths that indie authors have been sold, is every manuscript is worth publishing and that any book will sell easily as long as it gets into the market place. Company's like Amazon, and vanity presses before them, take advantage of this myth. Mainstream publishers PAY YOU to publish a book. They are investing in your manuscript because they believe they can profit from your book. They lose more times than they win but publishers can take chances if they score a few big wins. More mission driven publishers, typically the independents, will also consider how important you work is and will publish you because you work "needs" be to read. In any case you are not paying to be published. In the Amazon dominated world publisher have to be more risk averse. This, of courser, usually means less chances are taken on Black authors. In the Amazon scenario, as long as you have money they will publish your book. Amazon gets paid no matter what happens and the author assumes all of the risk. Even though there are more published books than ever before readers actually have less choice because they are not selecting from the universe of all self published books--just the ones they discover. Amazon is the only place to buy rare, used, or hard to find books. This books were always available--even online directly from the bookseller's website. Today the customer has been trained to only look for books on Amazon. As a result booksellers feel compelled to sell through Amazon to reach a consumer. Obviously Amazon does not serve as a middle man for free. The net result is that the book costs more than it would if purchased directly from the bookseller or the bookseller eats the Amazon transaction cost--or both. In any event, the price of these book are increased. Amazon is a monopoly.they control the price and discoverability of this product. Increasingly with the KDP Select program Amazon obtains exclusivity. Here is an interesting website that answer the question, Why Boycott Amazon? I concur with everything that you stated. I researched traditional publishers vs. self-publishing before I finished my first book, TRIGGER. I didn't have an agent nor could I afford one to get my manuscript to a mainstream publisher. So, I eventually decided on a publishing company that offered self-publishing services. I also based my decision on location. I wanted to be able to go and meet with the team. I learned a lot from the company, but I think I will be publishing on my own for my second book. I have been to writing workshops that praise CreateSpace for publishing, as well as Amazon's POD capabilities. I purchase my books upfront, and it can be costly. I have also been very indecisive on if I will continue to list my eBook on Amazon. Before my eBook was release I had made up my mind on listing my book on Ganxy, but after discussions with those close to me and readers I decided to try out Amazon because of their platform. I have not seen the sales that I need. This may be on my part. I am my own marketing team and I don't do any advertising on Amazon. So, back to the drawing boards. Here's an article from EDC, publisher who pulled 2000 titles from amazon.com, Ingram and baker & taylor (because they're distributors to Amazon) and big box stores in 2012. He said it meant $2 million in annual sales but after a few tense months, they started making money again... http://www.businessinsider.com/edc-beat-amazon-2014-8 One more thing; EDC also has home sales consultants who sell their books - I mentioned that's how I sold my first book. There are other ways to sell books besides Amazon. The publishers sales staff sells to the distributors, the distributors sell books to the stores, and the bookseller sells books to the reader. Publicity departments, and the authors themselves, will pitch books to booksellers and send them advance copies (galleys) to review prior to publication. Booksellers sort through all these books sell the titles they think their readers will enjoy most. As a result you can go into Esowon's book store in Los Angeles randomly pick a novel off the shelf and you can be confident that the product is well written and there is a good change you will enjoy the book. Even here on AALBC.com my list of critically acclaimed titles goes back almost 50 years goes back almost 50 years and I defy you to find a less than excellent book in the list. Try picking a random book from the Amazon store. There is a very big difference selling books to please a reader versus selling a book to drive revenue. Today more books are published than ever before. The vast majority of these book were published outside traditional publishing. Many of these books were produced without distribution and without a marketing plan or budget. Many, if not most, of these book were not professionally edited and are just poorly written. They hit the market place with zero vetting and readers are left to sort through the morass. As a result, the vast majority of books come and go without ever finding an audience or selling very many copies--deservedly so. Since the Black Book Ecosystem has lost hundreds of booksellers both brick and mortar and web based. We have fewer resources to identify the diamonds in the rough. Fewer Black books are being reviewed and those that are reviewed are being reviewed by unpaid amateurs on platforms without an audience. Today we have very few platforms for authors to market their books. As a result, Black people do not determine which books are important. Still, many self published authors, remain angry with Indie brick and mortar bookstores for refusing to stock some of their books. But booksellers know their market and are not in the business of wasting valuable shelf space stocking poorly written books that they can;t sell. Many of these authors now sing Amazons' praises for "stocking"their books, and they are quite proud to say their book is available on Amazon. But Amazon is a website and can stock any book, because virtual shelf space is effectively free and they will make money on any book they sell. In fact, many authors will pay Amazon for the privilege of selling on Amazon, give them a percentage of sales, and promote Amazon at every turn. These same authors would never give an indie bookseller the same terms and be so happy about it. @Faith U, you don't need money to secure an agent. They work on commission. Sure there are agents that will charge you but they are unscrupulous; avoid them like the plague. Finding an agent to work with you will require effort, but that is part of the process. "I Sell More Books Through Amazon than Any Other Platform"
Many authors are wrestling with the decision to give Amazon exclusivity for their eBooks. Many others have already done it. Some of the strongest criticism I've encountered regarding my proposed boycott of Amazon's bookstore is from authors who have given Amazon exclusivity for their ebooks. The are complaining that a boycott would eliminate all of their revenue. Now image any other retailer demanding exclusively on a product they did not create themselves. Why would anyone limit their product to one store? And how does one store wield so much power that author do it? The answer is simple Amazon is a monopoly for ebooks. Authors who commit to Amazon are happy to say they they sell more ebooks on Amazon than Apple, B&N, Kobo and Smashwords combined. Of course they do, but again that is because Amazon owns the ebook space. Of course none of these authors appreciate that if eBooks format was universal and could be viewed on any platform and could be purchased at any store--they would be able to sell more books and would not be beholden to a single company. But again this will not happen because Amazon controls the software, hardware, and distribution platforms for ebooks. They set the terms and either you deal with Amazon or you don't sell very many ebooks--if any. @Troy Selling more books and making money are two different things. Now that publishers have to compete for the Amazon buy box - I don't believe these authors are actually making money. I didn't get most of my sales from amazon but that's because I promoted the sites where I would make more money such as lulu.com, my own website or link and of course direct sales or through personal booksellers. When I sold through amazon - I only made $2.13 per book - lulu was $8. 68 and of course when I sold from my website or direct - it depended on how many books I ordered in advance...My royalty could go as high $10 per book. Direct was best because even if I didn't sell in person, I could offer free shipping - Priority mail and still have a decent royalty per book. I first published in 2006 - so no stores would buy my books. Since I had an isbn # folks could still order it through their local stores - but I didn't see any of those royalties. I will be the sole distributor for my next release. I'll keep good notes so I can report how it goes. Oh by the way, when I get a large order - I will definitely use AALBC printing services. That is another important point Mel. Amazon authors always gloss over the fact that they are making less money per book that they would if the sold via virtually any other platform--including their own. Booksellers who sell through Amazon make less money too. I get paid based upon the sale price of the book I sold a lot of sub-$2 books this period. Commissions of a $0.99 book are negligible--even if I sell a lot of them. Also 1/3 of my sales for the last two months were reduced priced books sold by third parties on Amazon--I'm sure the authors don't see royalties on any these sales since many of the books second hand and of course my commission are much less. Since my per book sales are much less, I actually make less money selling books despite record traffic. My only recourse would be to sell directly or through other channels, but that brings us back to the same problem--people are conditioned to only buy from Amazon. Now if all authors sold their own books or made their books available someplace other than Amazon I could direct readers to those alternative places. Sorry to read that Amazon may have stiffed you on those commissions. @Mel Hopkins If you buy your own on Amazon do you earn a commission and royalty for that sale? If you buy your own on Amazon do you earn a commission and royalty for that sale? Btw, I also purchased a digital copy of my book through the fetchapp to see how it would work. (the cost of doing business LOL) and fetchapp works perfectly. After the buyer makes a purchase - the app sends a link to download the pdf. The difference between fetchapp and gumroad (which also allows for direct digital sales) is fetchapp is free based on volume. Gumroad charges $15 per month whether you sell or not. But gumroad provides an imprint/watermark for each pdf it distributes. This cuts down on book bootlegging. I came across Ganxy two years ago while writing my book. They may be a little outdated now. I discovered AALBC.com through book club research. I have been looking for African American literature platforms to learn more about the business and find more ways to market my book. I am very new to the book/publishing world. I published TRIGGER in June. I'd also like to start my own Publishing LLC for my projects. As far as direct selling, Amazon, and book stores are concerned, I have a few copies of TRIGGER in Nubian Books in Georgia. Also, I stated earlier that I sale my soft cover from my site. I have had the most success from selling on my site. With my two-month Amazon experience along with the information I have read from you and @Mel Hopkins, I will be selling my eBook directly from my site as well. Thank you for the links. I checked out the printing site, and I will contact you when I need reprints. I have had the most success from selling on my site. With my two-month Amazon experience along with the information I have read from you and @Mel Hopkins, I will be selling my eBook directly from my site as well. Thank you for the links. I checked out the printing site, and I will contact you when I need reprints. @Faith U Here's something I noticed. I did a general search on Amazon for your eBook "Trigger is an easy name to remember) and it didn't come up on the first page...so I did a search for the book title and your first name. This time, your title came up #1 ... I went to read the reviews and I was sold! @Faith U I went right to your website. Nice site and your sales page is ALL OF THAT! You have, reviews, a trailer and soundcloud playlist for your book! Awesome ... Plus the upsell is an excellent tool! I bought the signed book but I was tempted to by the magnet and bookmark too! Great sales eSheet! I look forward to reading "Trigger" . Also before you sell digital copies from your site - I have to put in that disclaimer to beware of bootleggers. I dunno about the Amazon reviews Mel. I have published a few reviews on Amazon myself, but these are excerpts from the full reviews here on AALBC.com. I do it if the author request but not as a matter of course, because Amazon does not allow hyperlinks to external websites. So I can vouch for my reviews--but as far as the rest of ones on Amazon I take them with a grain of salt. Unless it is a trusted entity I do not trust random reviews written by unknown people on any site--not just Amazon. We know people pay for favorable reviews. We know people get fiends to write them. We also know that people even write negative reviews just to hurt another authors. Even the verified purchase reviews are gamed by slick marketers. The notion that we can get valuable information provided for free, like a professional written review of a book, is something that corporations take advantage of. But whenever there is a free, or low cost way, to influence public option on a large platform, that platform is prime territory to be exploited this includes Amazon, Wikipedia, Facebook, and even Google's search results. Amazon and Facebook do very little to clean this up because reviews even bogus ones drive traffic. I completely ignore reviews on Amazon for this reason. I read reviews written by professionals, unfortunately for Black books this means I'm not reading too many reviews of our books. But I completely understand than many people do read the review--which again is why they are gamed. There is a mechanism on this site informal reader reviews of every book on the website site. Here is the one of you books @Mel Hopkins: https://aalbc.com/books/home.php?isbn13=9781411673144#comment The is a link prompting reader to leave commesnt, but I get less than a handful of these a day. When I see on I like I sometimes shre them on social media. I have decided to focus on more formal process for identifying good books professional reviews, word of mouth from industry pros, and information I find on these discussion forums. You probably noticed the book review requests that are posted here. I look at each one but the benefit is that it is now a permanent part of the website, and other people will see it. @Faith U, yeah book clubs can certainly help word of mouth I have over 700 book clubs in my database: https://aalbc.com/bookclubs/ I could simply publish a list but I'm trying to reduce the number of authors that just blast the email addresses with unsolicited pitches to read their book. Most book clubs do not select their books in this fashion anyway--unless that author has a track record. Turns out I don't have the time, resources, and energy to corral the entities together to make the indie affiliate program work. Still I think it would be a much better long term strategy, but the coordination required is too much for me. I agree it would be better for the long term. In fact it would allow every independent book publisher, self-publisher of books for and/or by African-Americans to become a sustainable distribution network. 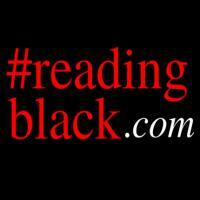 Imagine #readingblack.com becoming a large independent book distribution network. In fact, if you or someone would show us how to track our books for sales, distribution and dispensing advertising fees we all in the blackbook eco-system could actually sell each other’s books too. Not only would each make money we will support true independent distribution network. 2- we, independent publishers and self-publishers will have learned another piece of code that will allow us to track the books we sell through other websites. -->and it will definitely be welcomed in #readingblack.com Strategies <- and if you can help me understand this process will help readingblack.com become a distribution network. Managing multiple analytics and marketing tags for your site can be a challenge. Redundant or incorrect tags can distort data measurement and reduce your site performance. In this self-paced course, you’ll learn how Google Tag Manager can simplify the tag implementation and management process for marketers, analysts, and developers.